Fortis Mining Engineering and Manufacturing recognizes our responsibilities as corporate citizens and continually works to develop shared value with its customers, suppliers and employees. These responsibilities are being met through a number of initiatives. At Fortis we strive to be a responsible neighbor and active contributor in the communities where our employees and customers live. We seek to support community programs which reflect our brand values and further promote our recognition as an active contributor to our local community. We always aim to conduct business in a socially responsible and ethical manner. The safety of people, as well as the environment, are our highest priority. We actively assess and manage the environmental impacts of our operations. We continue to be a responsible and accountable business in our community. Fortis is continually seeking opportunities for work in Saskatchewan as well as across North America. In 2011, the Northern Strands Group of Companies(including Fortis), formalized its Aboriginal Initiatives Program. Since that time, we have been working to build relationships with Aboriginal communities, that can lead to economic prosperity, jobs for residents and jobs for the company. 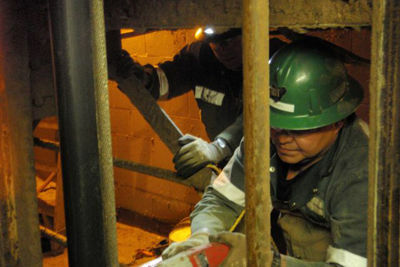 A number of safety-related programs have been implemented within Fortis. Fortis Mining Engineering and Manufacturing achieved OHSAS 18001 Certification also in 2013. Fortis is a member of Mission Zero, ISNet, Browz, Saskatchewan Construction Safety Association and the Saskatchewan Mining Safety Association. Fortis has implemented health and wellness policies that go above and beyond the basic requirements of legislative requirements. Our employees also have access to a comprehensive benefits program that underscores health and well-being in the workplace. The Northern Strands Group of Companies adheres to and enforces the Saskatchewan Human Rights Code and the Canadian Human Rights code. We have corporate policies in place that uphold these values. We do not tolerate discrimination of any kind.